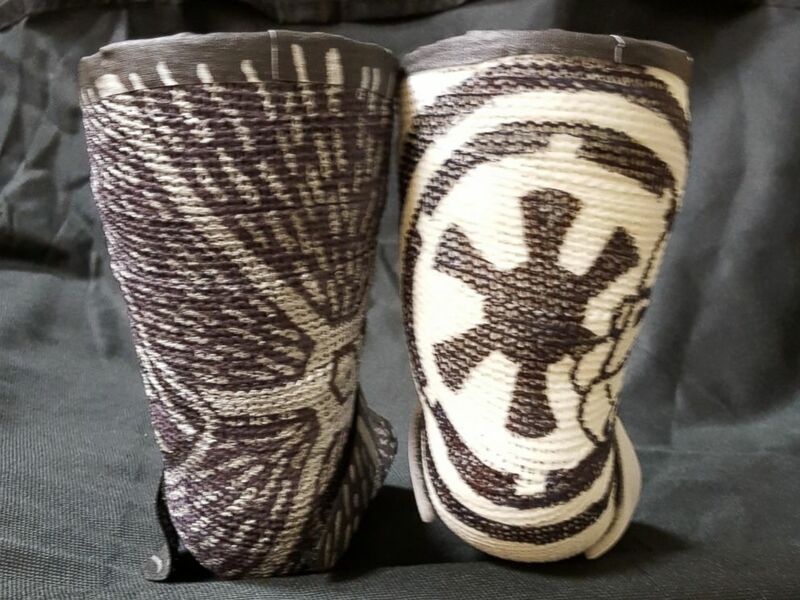 A pediatric physical therapist who received Internet acclaim for creating imaginative casts for her patients has unveiled a new design inspired by the hit film series, "Star Wars." Amanda Hall, known as the "Madcaster," was inspired to create two tiny casts that feature iconic figures from the original "Star Wars" films, after meeting a 1-year-old patient at her hospital, The HSC Pediatric Center in Washington, D.C., where Hall works in the Equipment and Orthotics Department. Hall's latest design features Darth Vader and his fighter plane on one cast, and a Stormtrooper, complete with the Galactic Empire's Imperial Army symbol on the other. 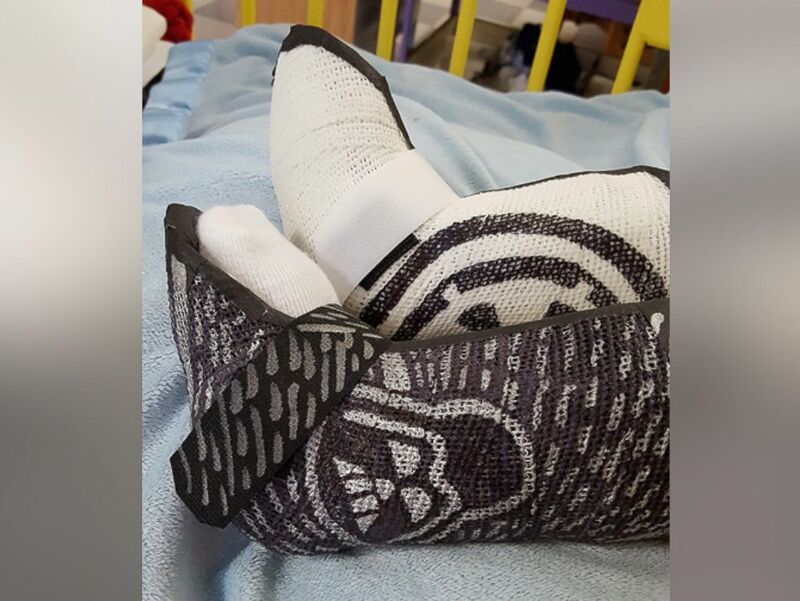 Physical therapist Amanda Hall created two casts inspired by "Star Wars" for a 1-year-old patient at her D.C. hospital. Hall, 38, told ABC News it only took two Sharpie pens to create the casts. "It was all pretty simple," she added. Still, Hall said to achieve other popular designs such as Spiderman, Hello Kitty and even casts that look like Nike shoes, many times she has to use other materials, including polyester, fiber glass, padding and adhesives. She notes that the casts don't really cost her anything extra to create. And although she typically has to work quickly to create casts for her patients, Hall said the "Star Wars" casts took about six hours. "The decorating has to be pretty quick because usually I see the child before they head home," she explained. "Some times, I can take the casts back to my workshop and finish it, but most designs take about 10 minutes." Hall said she was inspired to decorate her patients' casts to help ease the pain of their new hardware. A detailed look at the "Star Wars" casts, created by Amanda Hall, known as the "Madcaster" for creating fun casts for child patients. "Casting is often a disappointment to the child or parent so it's kind of my way of softening the blow or making it something they can look forward to," she explained. "Now, they can show off their cast." Hall said not only do her patients appreciate her casts, but parents love them too. "They're pretty into it," she said. "The parents have been positive about it especially since their kids are looking forward to their casting appointment as opposed to being dragged to the appointment." As for her 1-year-old patient for whom she created the "Star Wars" casts, Hall said he seemed to enjoy it. "At his age, I'm sure he doesn't know who Darth Vader is, but he seemed to like him," she said. "He smiled. He's a very smiley little boy." Hall said it is these reactions that keep her motivated to create unique one-of-a-kind casts. "They're kids. Anything that makes you different can make you embarrassed so if I can create something that they can look forward to and show off and feel special about as opposed to feel bad then that's my goal," she said. The Walt Disney Company, which owns Lucasfilm, the production company behind "Star Wars," also owns ABC News.